Topic: You took part in an overseas cultural exchange programme. You visited Japan and you found this experience rewarding. Write about the things you could see and do in your trip based on the photos below. Have you ever been to Japan? Do you know Japanese culture? Last summer holiday, I took part in an overseas cultural exchange programme to Tokyo in Japan for one month. The trip was extremely meaningful and it became an unforgettable memory of my life. In the trip, we climbed up Mount Fuji excitedly and visited my Japanese friend's home. It has broadened my horizons. To start my wonderful trip, I visited my Japanese friend's family. They live in Tokyo. As a guest, I brought a small gift called omiyage that my friend told me to do so. That was a token of gratitude, or they would think I am impolite if I don't bring one. To respect the Japanese culture, I bought some fresh fruit as the omiyage. When I entered my friend's house, Japanese said konnichiwa to me friendly. I forgot to take off my shoes when I went inside the house. My friend whispered, "Remember to remove shoes!" "Domo for your remimder!" I replied embarassedly. I saw Japanese wearing kimonos at home. I was confused that they did not hink the clothes were not convenient to walk. "Never, mind. To respect their culture." I thought. Then, I erased the question in my mind. After a while, they served me a cup of green tea. I was aromatic. I saw them doing so many steps to make a cup of green tea. Yet, they drank just a little each time and they slipped it quietly. It was a unique experience I've had in Japan. Not only the tradition of drinking green tea, but also the tradition of eating noodles. They served me a bowl of ramen, then I ate the noodles with no sounds. But I heard that they slurped the noodles nosily. "Oh! Making noises when eating noodles is rude in Chinese culture." I thought. Later on, they told me that sluring noodles nosily was the tradition of Japan, otherwise you were rude to the cook. The word "rude" repeated and repeated in my mind and my face turned read in a sudden. I didn't know the Japanese culture well but I will try my best to learn it. Visiting my friend's house was such a fantastic experience. I enjoyed it very much. 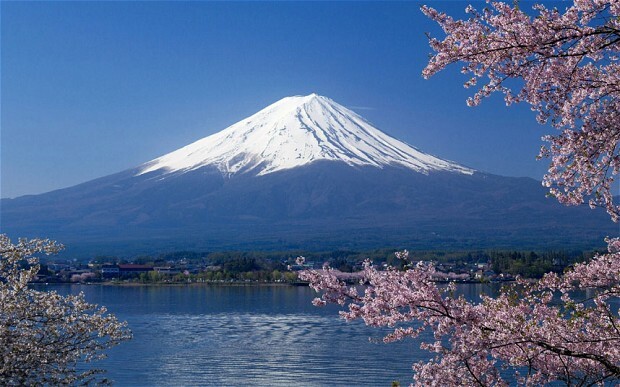 Have you climbed Mount Fuji? When we climbed on Mount Fuji, I was shocked. It was too high! It is the highest mountain in Japan and it is a well-known important landmark in Japan. Since the best time to climb up the mountain is from July to August, we saw a lot of climbers along the hiking trail. I was mesmerized by the breath-taking scenery there. The top of Mount Fiji was covered with snow all year round a bottle of water due to my entry water bottle. The water was much more expensive than the one sold on the ground. A bottle of water cost up to $30! "My money bank was going empty!" I wailed. That was a memorable experience. By taking part in an overseas exchange programme, I have learnt Japanese culture. To give an illustration of Japanese culture, it included how to drink green tea and slurp noddles nosily. They were very interesting. Besides, I felt satisfied with the tour. I enjoyed staying with my Japanese friend. I felt grateful to my host family. I want to go to Japan again. My love of Japan is unbreakable.